Mt. 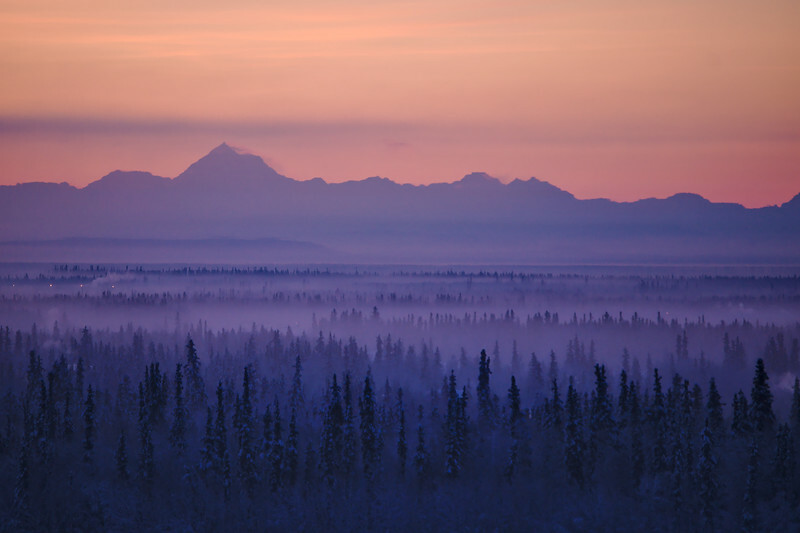 Hayes and the Alaska Range appear slowly in the morning as the Sun approaches the horizon. Fairbanks, Alaska. You can also see a little miraging taking place (fata morgana) on a few of the peaks. A light ice fog fills the valley.